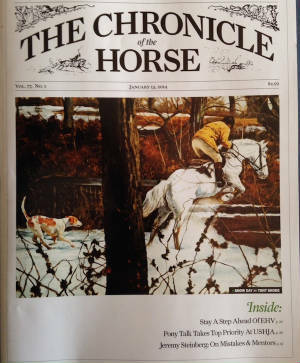 See my painting "Snow Day" on the cover of The Chronicle of the Horse. The image was from a bye day with the Elkridge Harford Hunt Club. The Summer issue of Covertside is finally out. 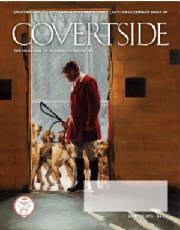 "Drawn Hounds", my painting of Huntsman Geoffrey Hyde in the Elkridge Harford Kennels is featured on the cover. 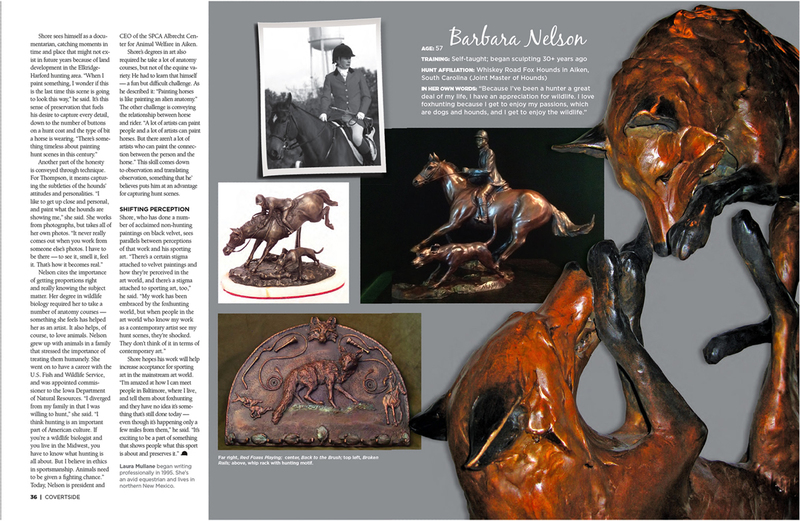 My work, along with the work of two other artists is feature in a nice article. Click on the Thumbnails below to read the article. 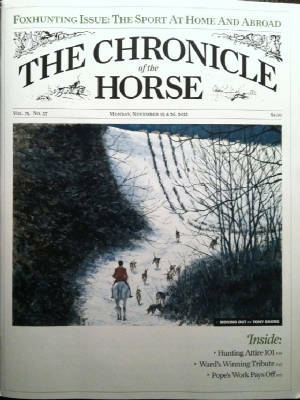 See my painting "Moving Out" on the cover of the Foxhunting issue of The Chronicle of the Horse.The painting depicts Elkridge Harford Huntsman Geoffrey Hyde with his hounds just off of Hess Road in Monkton, Maryland.